Back in May I had a party and hired Ghaf Kitchen. You may of read my previous blog or spotted the odd photo on Instagram. Either way I like to think of myself as a semi foodie. I love food, I appreciate home made grub, organic cafes and fine dining restaurants. I’m also a fan of the very trendy food truck. I’m so happy Dubai has finally caught on to this worldly craze. About two years ago Nathan and I discussed the idea of launching a ‘Poutine Food Truck’. This never happened because neither of us are chef’s or have any F&B experience. We just really like Poutine (a delicious Canadian dish that every human must try.) Think fresh potato chips, gravy and cheese curds. OMG I’m hungry. 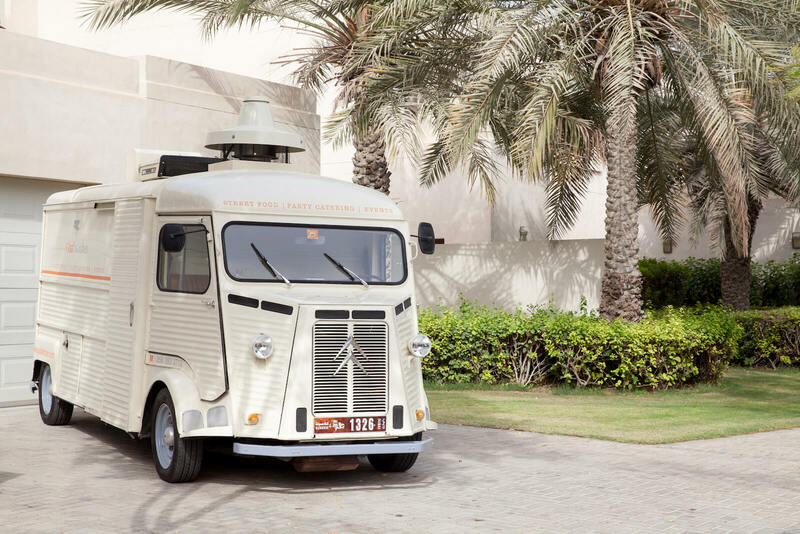 Anyway, fast forward two years and suddenly food trucks are finally making news in the UAE. 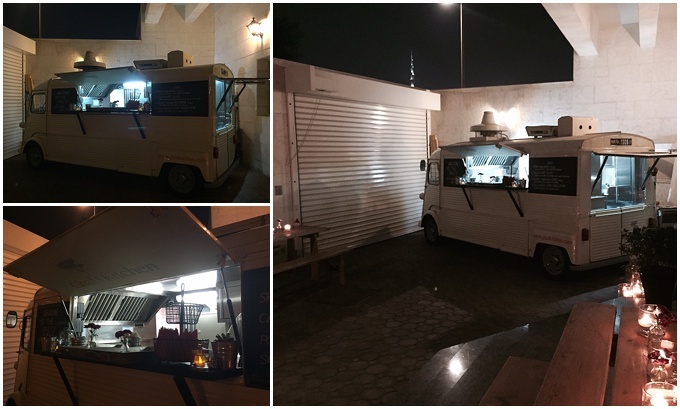 After debating with Emma Pope at The Address Montgomerie, my husband and a few friends I finally came to the decision that I would hire a food truck for my 3 year anniversary party. It really was the bet thing ever. The food was AMAZING and the staff were friendly, chatty and were very professional. They fitted in with the crowd and made the whole evening unforgettable. There are a few restrictions that apply when hiring a food truck. You need to have a closed area for the truck to park, aka a garbage or a massive garden. I personally think that hiring a food truck would be awesome for any house party or event. If you have wedding guests flying in and need to entrain and feed 30 people then this could be the most fun option. It’s casual, fun and it will defiantly put your guests in a good mood. For more information of hiring Ghaf Kitchen please check out their website http://www.ghafkitchen.com/– for the social bunnies you’ve probably spotted the Ghaf food truck around town as they cater at a lot of the big events. Anyway… happy planning and have an awesome Monday everyone!